Torino manager Walter Mazzarri has indicated that he will hand a debut to new signing Ola Aina when his side tackle AS Roma in their Serie A opener on Sunday. The right wing-back is certain to be named in the match day squad after he was included in Torino's 23-man squad announced on Saturday evening. Italian clubs are permitted to have twelve players on the bench for Serie A matches, Coppa Italia and the Italian Super Cup. 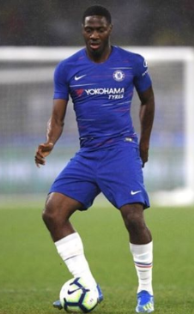 Aina participated in only one of Chelsea's pre-season games and that was close to a month ago, against Perth Glory when he replaced Davide Zappacosta for the final 17 minutes. Before the trip to Australia, the Nigeria international featured in a behind-closed-doors friendly against National League side Aldershot Town. The 21-year-old Ola Aina has 52 senior games under his belt for Hull City and Chelsea since he turned pro, he will play with the number 34 kit at Torino.